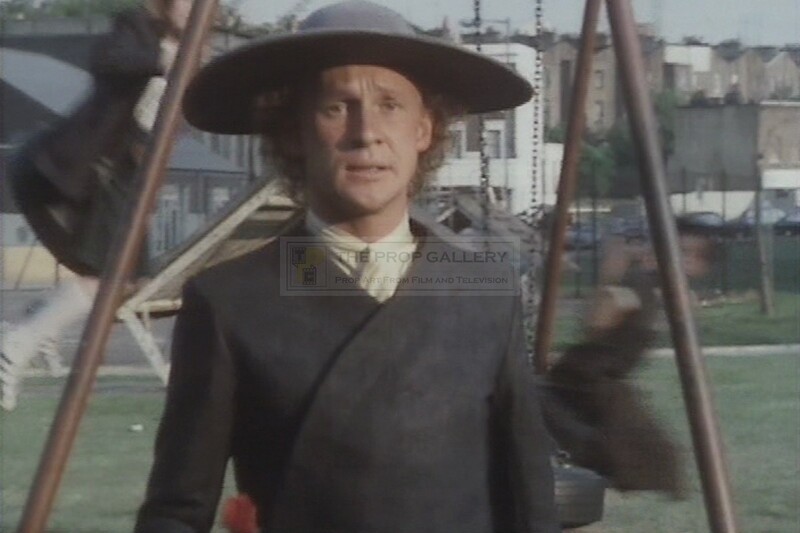 An original costume used in the production of The Flipside of Dominick Hide, the 1980 BBC science fiction production starring Peter Firth in the title role. 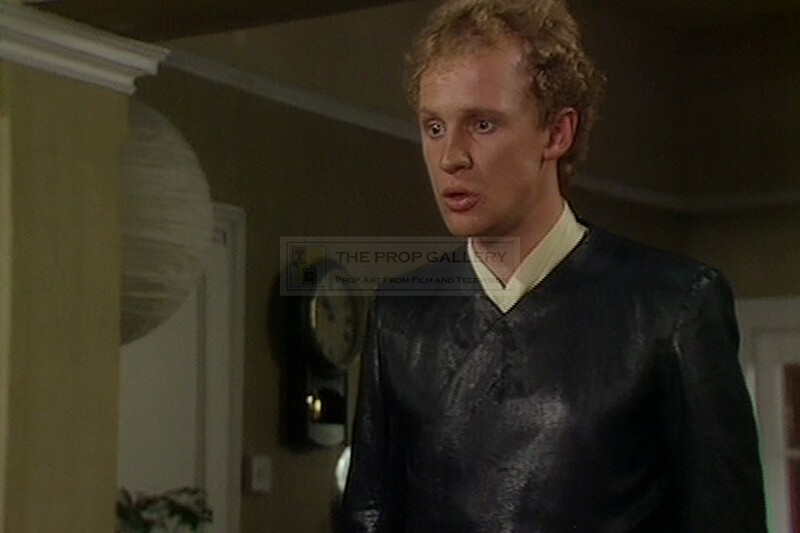 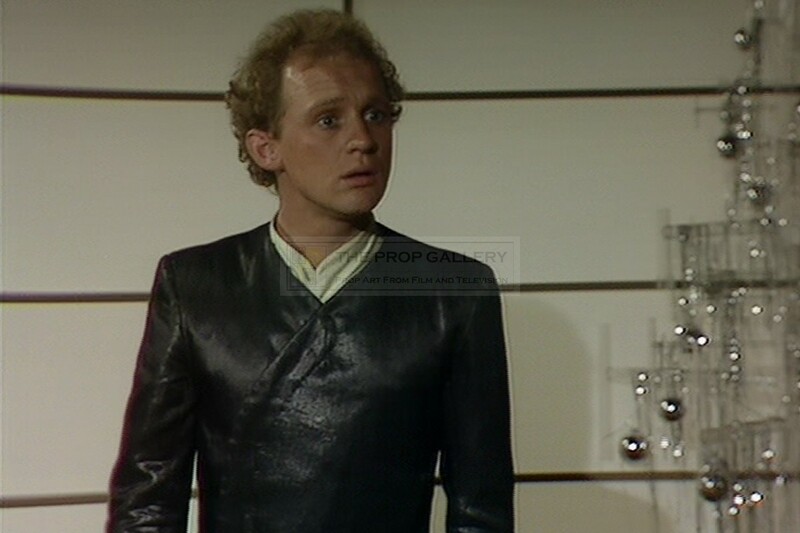 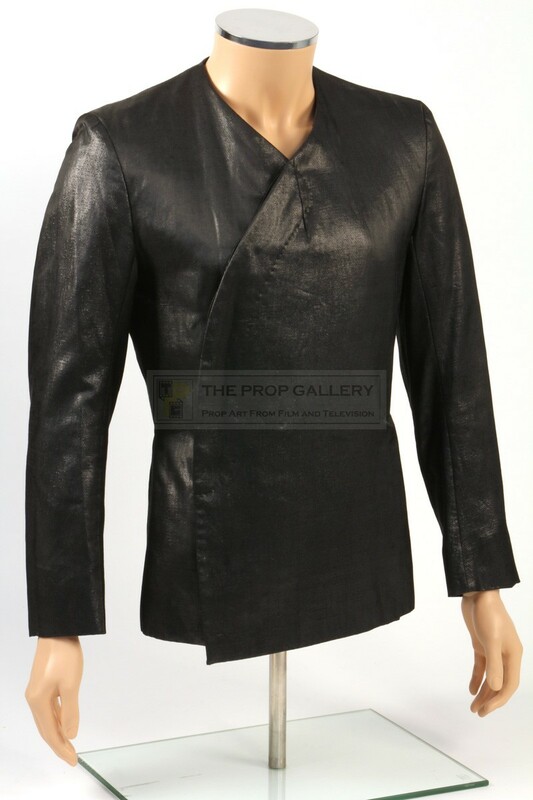 This futuristic style jacket was bespoke made for Peter Firth as Dominick Hide by noted theatrical costumiers Arthur Dirty of Covent Garden, London. 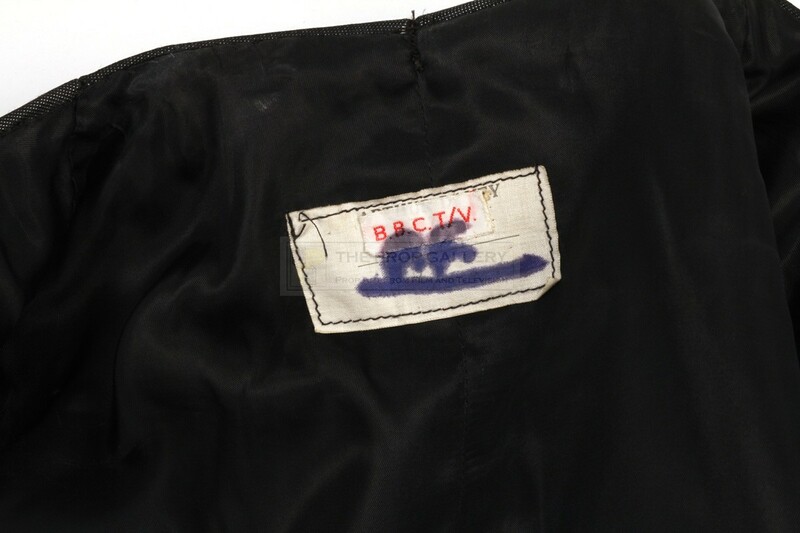 Constructed from dark grey satin effect material with concealed buttons the costume is lined to the interior and features an Arthur Davey label which is inscribed with Firth's initials and a further label printed 'BBC T/V' applied on top. 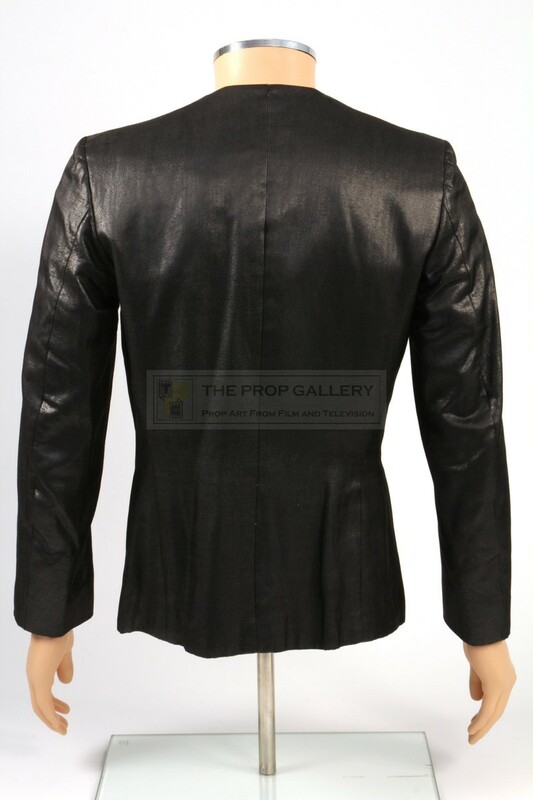 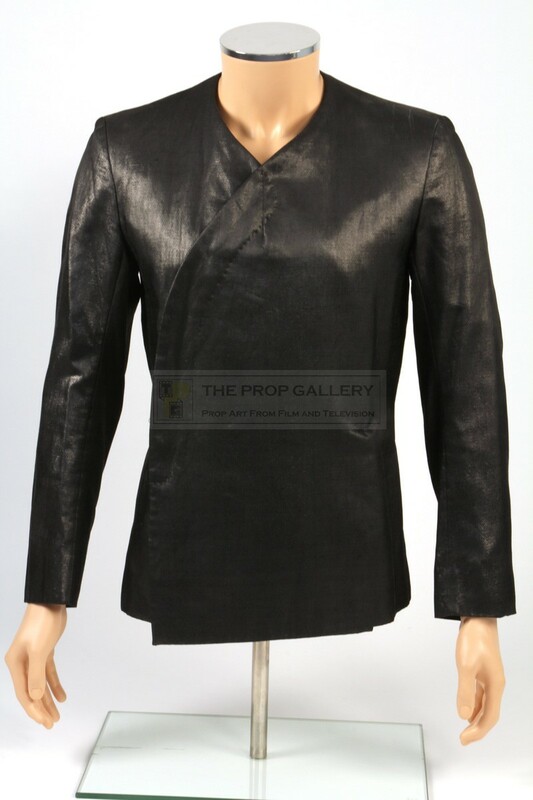 This costume can be seen worn by Firth as Dominick Hide throughout the feature and the 1982 sequel Another Flip for Dominick, it represents the principal wardrobe from the series. 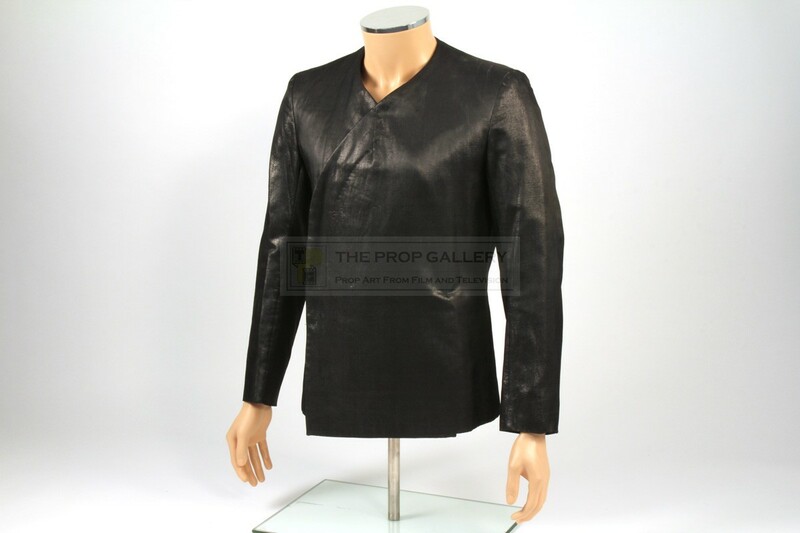 The costume remains in excellent condition throughout with only minor wear consistent with production use and evidence of makeup to the interior sleeves, overall very fine. 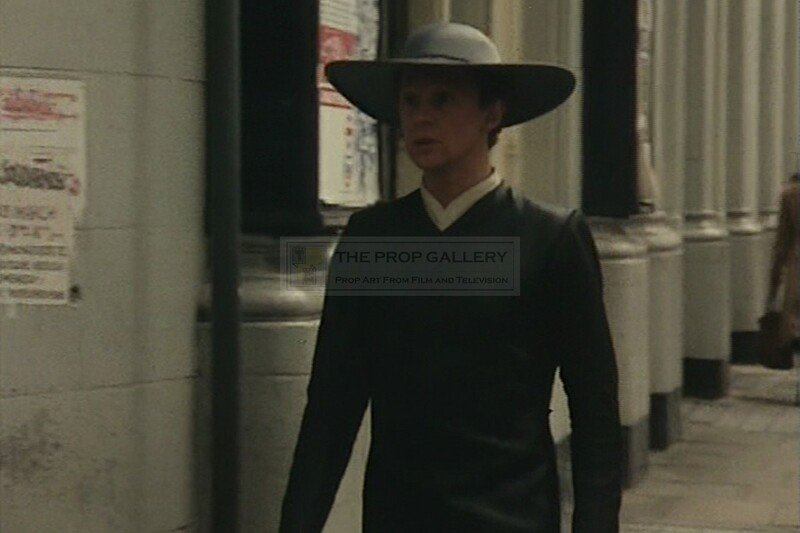 An incredibly rare example of principal character wardrobe from this cult BBC science fiction production.